VNSC is located at Kaazi, 2 km off the new Entebbe-Munyonyo express way, and about 30-40 min drive from either Kampala city centre or Entebbe. From Kampala, take Ggaba road, and beyond Bunga turn right into Wavamunno Road. Pass Speke Resort Munyunyo, continue straight on to the new express way and cross the swamp. After the swamp bridge, turn left at the first junction on to Busabala road towards the lake. From Entebbe, enter the express way to Munyonyo at Kajansi, or continue on the Entebbe-Kampala express way across the fly over at Kajansi. After Kigo turn right on to Busabala road. Once on Busabala road, you will arrive after 1.2 km at a large, white metal gate with a sign Scout grounds Kaazi and a banner of the VNSC sailing club. Tell the watchmen that you are going to the sailing club and enter. Continue 800 m on the dirt road and follow the sign on the left to VNSC. You can also find VNSC on Google Maps. 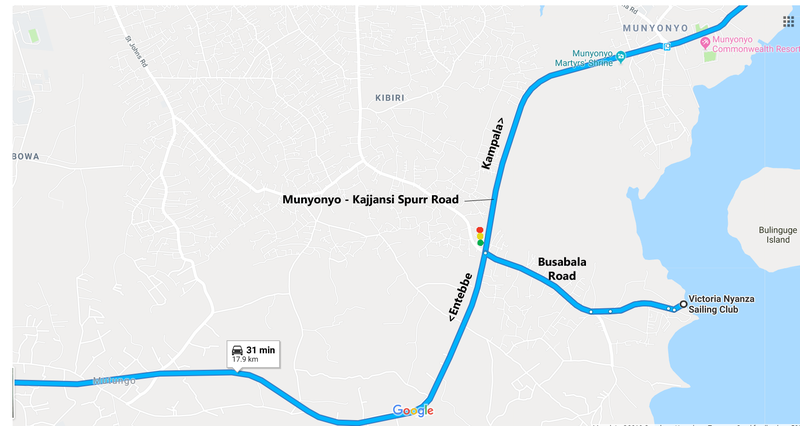 Click here to download the directions from the Muyonyo-Kajjansi spurr road to Kaazi.